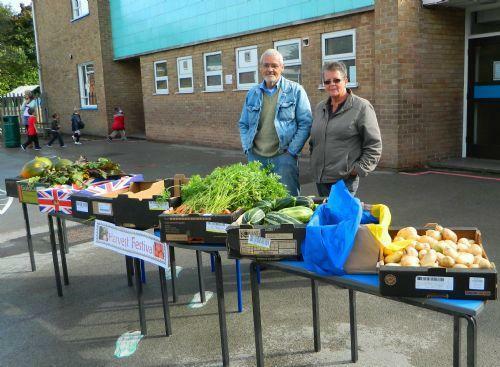 Dave & Maureen - our super Community Gardeners - THANK YOU!! as our ECO garden provides tasty vegetables!! Harvest Festival at Peterbrook is always exciting! Every year we fill the Junior Hall with smiling faces as our pupils enter the hall and see our fabulous harvest display. Once again we were supported by our school family and together we created a wonderful display of tinned foods, packaged foodstuffs, bottles and once again, a mountain of fresh produce from our own ECO Garden which had been harvested during the morning by our wonderful Community Gardeners Dave and Maureen. We always rely on the generosity of our school community to make this traditional British event, one to remember. 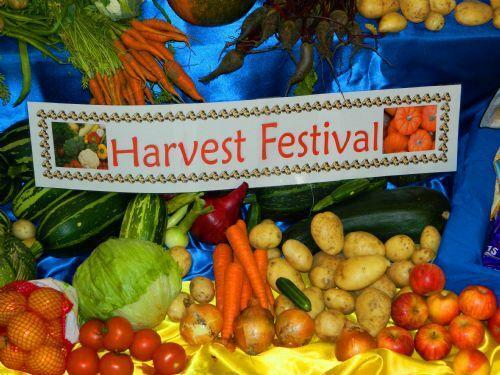 Our special Harvest Festival assembly resonated to the singing of traditional harvest songs and add to this, the sale of our organic vegetables on the playground at the end of the school day and the brilliant 30 minutes of sunshine - wow, what a relief! We would like to 'thank' all of our families for providing foodstuffs in these difficult economic times - your kindness is appreciated by both your school and by our local charities. 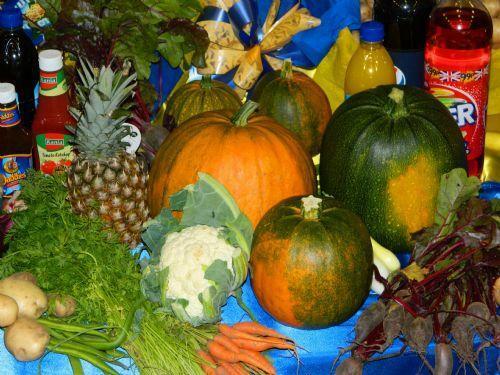 Most schools in Britain maintain the custom of celebrating Harvest Festival early in the Autumn term. Although traditional food production (ploughing, sowing and harvesting) is outside the experience of many of our children, the festival does highlight a number of issues of present-day importance. The celebration of Harvest in Britain dates back to pre-Christian times when the success of the crop governed the lives of the people. Saxon farmers offered the first cut sheaf of corn to one of their gods of fertility, in order to safeguard a good harvest the following year. The last sheaf was thought to contain the Spirit of the Corn, and its cutting was usually accompanied by the ritual sacrifice of an animal - often a hare caught hiding in the corn. Later, a model hare, made from straw, was used to represent the continuity of the Spirit. This practice eventually led to the making of plaited 'corn collies', symbolising the goddess of the grain. These were hung from the rafters in farmhouses until the next year. When the harvest was in, a celebratory supper was held to which the whole community was invited. 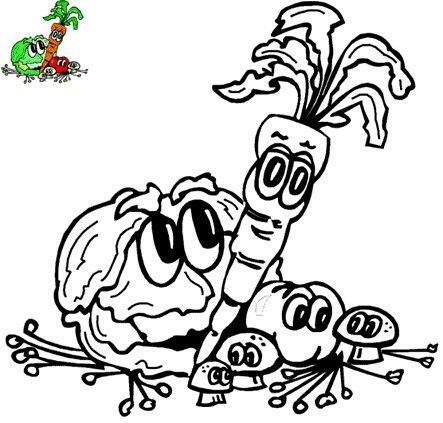 Would you like to colour-in a Harvest picture? In Britain, churches often celebrate Harvest Festival in the autumn, when the wheat has been cut and the apples picked. The church is decorated with flowers and greenery. 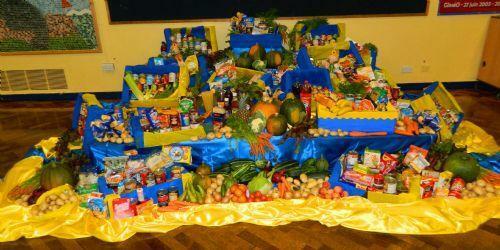 Fruit and vegetables are put on display, with a special loaf of bread in the middle. In some country churches a plough is sometimes brought in from a local farm. The minister says a blessing over it and prays for a good harvest in the year to come. Our organic ECO Garden produce was a sell-out! !